Tonight’s fight in London between James DeGale and Chris Eubank Jr. was a near-pick’em affair. That seemingly portended a very close fight, but Eubank took command early and won going away. One of the main arguments in favor of DeGale was that he possessed a higher ring IQ. Eubank looked amateurish in his last important fight when he was taken to school by George Groves who won a unanimous decision. 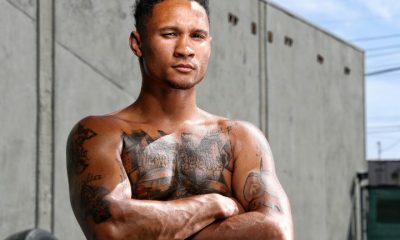 But the son of the British boxing legend of the same name was the stronger man, and DeGale, who turned 33 earlier this month, didn’t have the guile to hold him off. Eubank, the younger man by 43 months, knocked DeGale against the ropes in round two. In the estimation of the ref, the ropes held DeGale up so he was given a count. DeGale did better in the middle rounds, but he was fighting off his back foot and couldn’t match Eubank’s workrate. Round 10 was Eubank’s best round. A vicious combination preceded by a thudding left hook sent DeGale to the canvas near the end of the round. The bell saved him from further punishment. Round 11 was also a strong round for Eubank, or would have been had he not had a point deducted for throwing DeGale to the mat. The only question now was whether DeGale would still be standing when the final bell sounded. He made it to the finish, but the outcome wasn’t in doubt. The judges returned scores of 117-109, 115-112, and 114-112. Indeed he has. 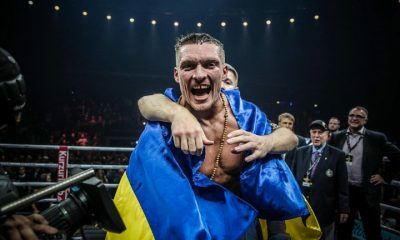 The first British fighter to win an Olympic gold medal and a world title as a professional, the two-time IBF super middleweight champion would leave the sport with a 25-3-1 record. Chris Eubank Jr, who likely has a rematch with Billy Joe Saunders in his future, improved to 28-2. In two other bouts of note, Joe Joyce stopped Bermane Stiverne in the sixth round and Lee Selby, in his first go as a lightweight, dug deep to turn away Omar Douglas. Joyce vs. Stiverne was an old-fashioned slugfest, but the 40-year-old Stiverne, who came in at a flabby 273 pounds, couldn’t keep up the pace. 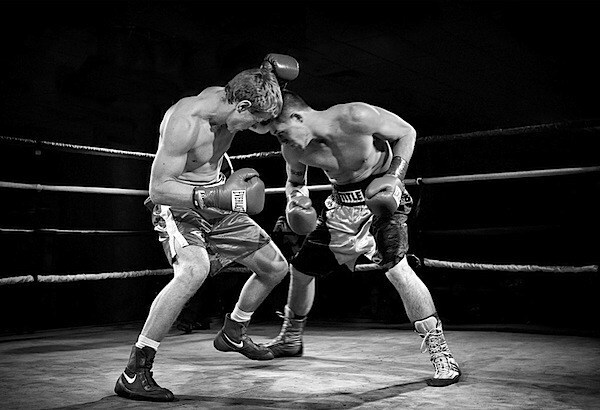 He was knocked into the ropes in the third frame – it was properly ruled a knockdown – and buzzed on multiple occasions until the referee decided that he had seen enough. Joyce advanced to 8-0 with his eighth straight knockout, but showed that while he has a sturdy chin, he needs to tighten up his defense. After the fight, Stiverne was taken to a hospital as a precaution. Selby, a former IBF featherweight champion, overcame bad cuts over both eyes to win a unanimous decision. The scores were 115-114 and 116-112 twice. A pair of heavyweight battles topped the card at London’s 02 Arena. Both favorites won, but neither bout played out as expected. Fan favorite David Allen, a 27-year-old Yorkshireman, continued his ascent from the lower depths of the boxing firmament with a one-punch knockout of Australia’s heavily-tattooed Lucas Browne. Allen caved in Browne with a body punch in the third round that brought a sudden end to a bout that the Aussie appeared to be winning. Browne, who turned 40 this month, made history when he became the first Australian to win a world heavyweight title (WBA version) when he scored a 10th round stoppage of Ruslan Chagaev in Russia. But, in hindsight, that win was a fluke. A gassed-out Chagaev was widely ahead on the cards when his roof fell in. Browne’s tenure was brief. He was stripped of the belt after testing positive for clenbuterol. Allen, nicknamed the White Rhino, has now won four straight beginning with an upset of previously undefeated Nick Webb. His reputation is that of a common brawler, a fighter willing to take two punches to land one, but, regardless, he positioned himself for a nice payday or two going forward. Browne lost his second straight after opening his career 28-0. The maddeningly inconsistent Dereck Chisora, who engaged in two barnburners with Dillian Whyte, snoozed his way to a 10-round unanimous decision over milquetoast Senad Gashi. The 35-year-old Chisora, a Zinbabwe-born Londoner, improved to 30-9 but did nothing to improve his stock. The well-traveled Gashi, born in Kosovo and now residing in Spain, declined to 17-3 while acquiring the patina of a trial horse. Welterweight Josh Kelly, a 2016 Olympian, won a lopsided 10-round decision over stubborn Przemysla Runowski. Kelly (9-0, 6 KOs) had Runowski on the canvas in rounds two, nine, and 10, but the previously undefeated Pole (now 17-1, 3 KOs) stayed the course. 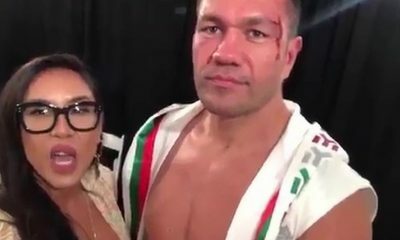 Kelly appeared to hurt his hand early in the fight. That may knock him off the Joshua-TBA card on June 1 at Madison Square Garden. Joe Cordina, a Welshman, now holds the British and Commonwealth lightweight titles after scoring a 6th round stoppage of Yorkshireman Andy Townend (22-5). Cordina started slowly but gradually picked up the pace and scored three knockdowns before the referee waived it off. 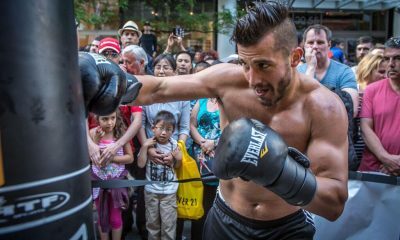 A 2016 Olympian, Cordina (9-0, 7 KOs) was a heavy favorite despite a dearth of pro experience. Conor Benn the 22-year-old son of Nigel Benn, was extended the distance for the third time in his last four fights but had little difficulty advancing his record to 14-0 (9) at the expense of Josef Zahradnik (10-3) of the Czech Republic. The referee awarded Benn every round in this 8-round welterweight affair. 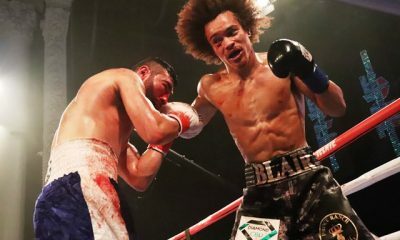 Middleweight Nikita Ababiy, a hot prospect with a big upside, was extended into the second round for the first time in his young pro career but eliminated Dmitri Faltin after only 26 seconds of round two. A 20-year-old Brooklynite of Russian extraction, nicknamed White Chocolate, Ababiy (4-0) excelled in all manner of combat sports as teenager. In the ring he doesn’t pussyfoot around. He won his pro debut in 28 seconds. Faltin, a 37-year-old Finn, fell to 2-4-1. John Harding Jr., a 34-year-old middleweight, improved to 7-0-1 with a one-sided 6-round decision over Miroslav Juna (1-2). A protégé of Dillian Whyte, Harding started his pro career late after serving several stints in prison. 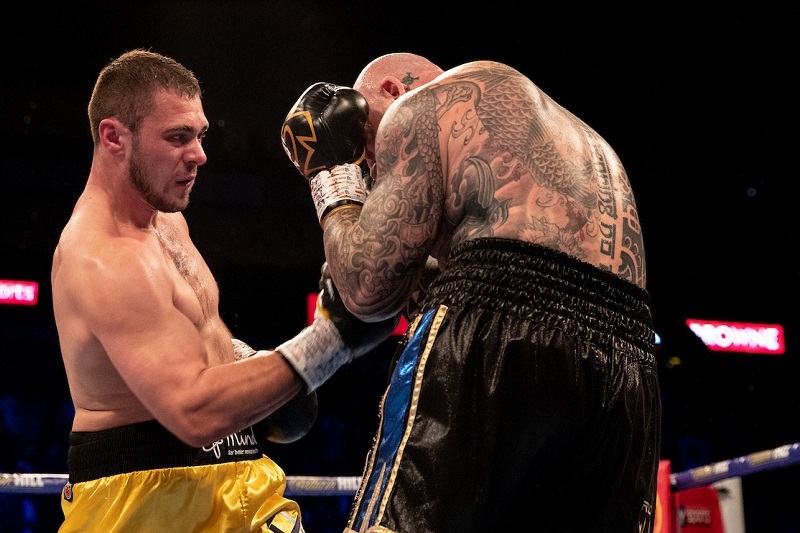 Cruiserweight Sam Hyde (14-1-1, 7 KOs) rebounded from his first defeat in fine fashion, blowing out Slovakia’s Josef Jurko (5-2) in the opening round. Super bantamweight Sam Cox (4-0) won a 4-round decision over Bulgaria’s Georgi Georgiev. In a woman’s fight, British bantamweight Shannon Courtenay (2-0) outpointed Bulgaria’s Roz Mari Silyanova (1-5-1). The ref gave Courtenay all four rounds. 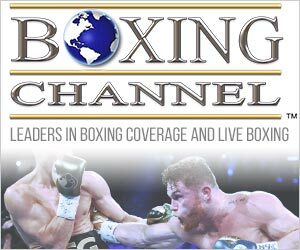 The Boxing Writers Association of America has announced their annual Bernie Awards which recognize excellence in boxing journalism. Five stories that ran on this web site earned commendations. TSS editor-in-chief Arne K. Lang copped first place in the category “Boxing Feature Under 1,500 Words.” Springs Toledo and Thomas Hauser earned third place ribbons, Toledo in the category “Best Column” and Hauser in “Boxing Investigative Reporting,” a category in which he has excelled. In addition, TSS New England correspondent Jeffrey Freeman and Sean Nam earned Honorable Mentions, Freeman in “Boxing Feature Under 1,500 Words” and Nam for an investigative reporting piece. Four TSS correspondents – Toledo, Hauser, Kelsey McCarson, and Nam – were honored for stories that appeared on other web sites. What follows is the full press release authored by Awards Chairman BERNARD FERNANDEZ. A TSS mainstay, Fernandez is a former five-term president of the Boxing Writers Association of America. Springs Toledo and Mark Kriegel scored highest among individual entrants, while Boxing News/BoxingNewsOnline.com topped the overall sweepstakes in the 18th annual Boxing Writers Association of America writing contest. Those who placed in the contest, which drew a record 147 submissions from a record 49 media representatives who cover the sport, will be recognized at the 94th annual BWAA Awards Ceremony, to be held May 31 at the Copacabana in New York City. Toledo, a Boston native and frequent honoree in the BWAA writing contest, led all entrants with 14 points on a scoring system of five points for a first place, three for second, two for third and one for an honorable mention. In the blind judging, in which all bylines and other identifying marks were removed beforehand before being forwarded to a distinguished panel of sports journalists and academics, Toledo took a first in Feature (Over 1,500 words), seconds in Investigative Reporting and a tie for Feature (Under 1,500 Words), a tie for third in Event Coverage and an honorable mention in Column. He spread the wealth around, too, with submissions for Boxing News, thesweetscience.com and City Journal. Kriegel, who took first places in both Feature categories in the 2017 contest, was again a major factor in multiple categories, totaling 12 points. He took first place in Investigative Reporting, seconds in Feature (Under 1,500 Words) and Feature (Over 1,500 Words) and an HM in Column, all for ESPN.com. Other first places went to Arne K. Lang, editor of thesweetscience.com in Feature (Under 1,500 Words); Paul Wheeler of Boxing News in Event Coverage and Kelsey McCarson of NYFights.com (tie) in Column. 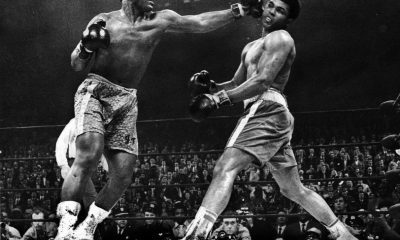 Boxing News and BoxingNewsOnline.com, based in the United Kingdom, stormed the BWAA contest like the Beatles coming to America in 1964, totaling 27 points on two firsts, three seconds, a third and five HMs. ESPN.com was next with 16 points, followed by thesweetscience.com and BoxingScene.com with 11 apiece. 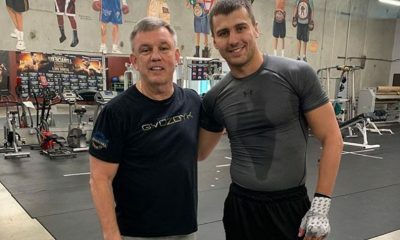 Honorable Mention: Tris Dixon, BoxingScene.com; Lee Groves,CompuBoxTV.com; Gordon Marino, TheDailyBeast.com; Kieran Mulvaney, InsideHBOBoxing.com; Cliff Rold, BoxingScene.com; Don Stradley, Ringside Seat; Chris Walker, BoxingNewsOnline.net. Honorable Mention: Lance Pugmire, Los Angeles Times; Dan Rafael, ESPN.com. ONTARIO, CA.-Looking to make waves as a featherweight, Santa Ana’s Erick Ituarte battled Tijuana’s Jose Estrella evenly before pulling away in the last third of the fight to win by decision on Friday. Ituarte (21-1-1, 3 KOs) lacks the big punch but has the long arms that enabled him to keep distance and out-point the shorter Estrella (20-16-1, 14 KOs) in their 10-round bout at the Doubletree Hotel. Thompson Boxing Promotions staged the fight card that saw about 500 fans at the event. Estrella used his guts and guile to keep the fight close in the first four rounds of the fight. Back and forth they went trading momentum, Ituarte was effective attacking the body and Estrella was good at connecting with big blows to the head. 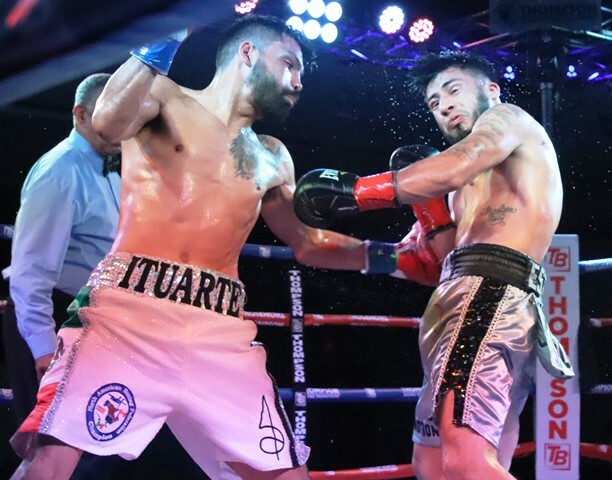 It wasn’t until the seventh round that Ituarte began utilizing his reach and mobility to make Estrella chase and run into pot shots. From that moment on Ituarte was in control of the fight. No knockdowns were scored with one judge scoring it 98-92 and two others 100-89 for Ituarte. Each round was very competitive. Corona’s Luis Lopez (5-0, 3 KOs) powered his way to victory by unanimous decision over Mexico’s Daniel Perales (10-17-2, 5 KOs) after four rounds in a welterweight match. Though Lopez won every round with sharper punches he was never able to hurt the super tough Mexican fighter from Monterrey. He recognized that early and used crisp combinations to win each round though Perales had his moments too. All three judges scored it 40-36 for Lopez. A heavyweight fight saw local fighter Oscar Torres (5-0, 2 KOs) run his record to five wins with a fourth round stoppage over Houston’s Thomas Hawkins (4-4) after a barrage of punches. 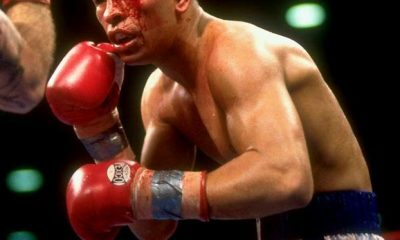 The fight was stopped twice in the fourth round and a final barrage of blows prompted referee Tony Crebs to halt the fight at 1:20 of the round. Torres fights out of Rialto, California and is trained by Henry Ramirez. Lightweights Davonte McCowen (0-0-1) and Chris Crowley (0-0-1) fought to a majority draw after four torrid rounds. Both were making their pro debuts. McCowen started faster and slowed in the last two rounds that allowed Britain’s Crowley to mount a rally in the last two rounds. It was a spirited fight between the two newcomers.